For regular readers, you might have noticed a trend with my lunch choices. If lunch comes from established chain outlets, I’m probably at Canary Wharf. If they are from small, sometimes “dodgy” independent shops, I’m at Brick Lane. 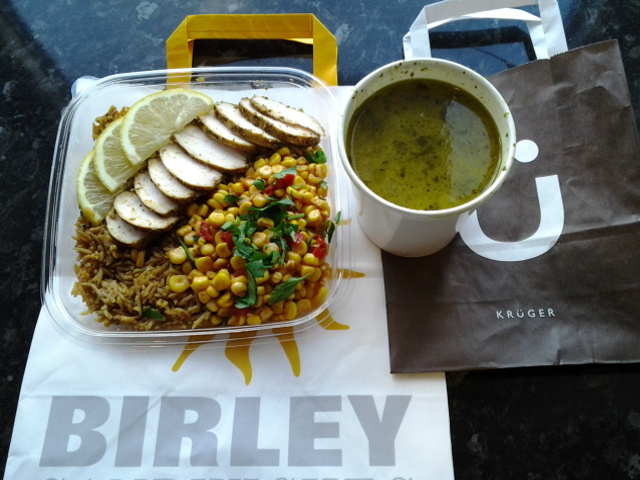 Lunch today is from both Birley and Kruger. Guess where am I today? As usual I’m hard pressed for time today so decided to just pickup something from Cabot Place. Have not tried Birley Sandwiches before so thought I give it a go. Out of the 9 Birley outlets, 6 of them are in the Canary Wharf vicinity. The other 3 are in the square mile, goes to show they are targeting the more established business folks. 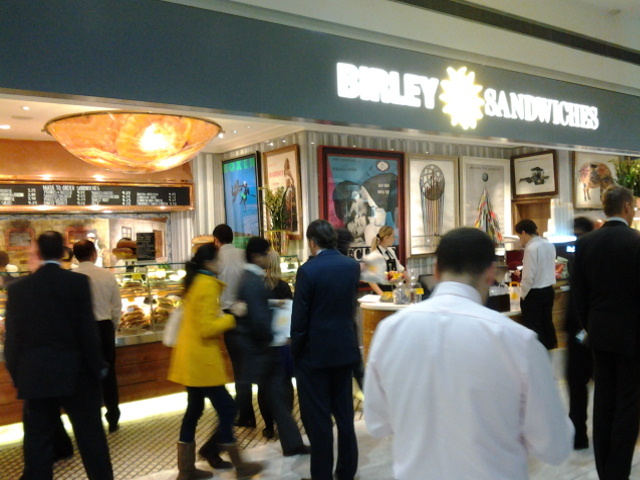 Of the 6 in Canary Wharf, I have tried Birley’s Salt Beef Bar and thought not much of it. 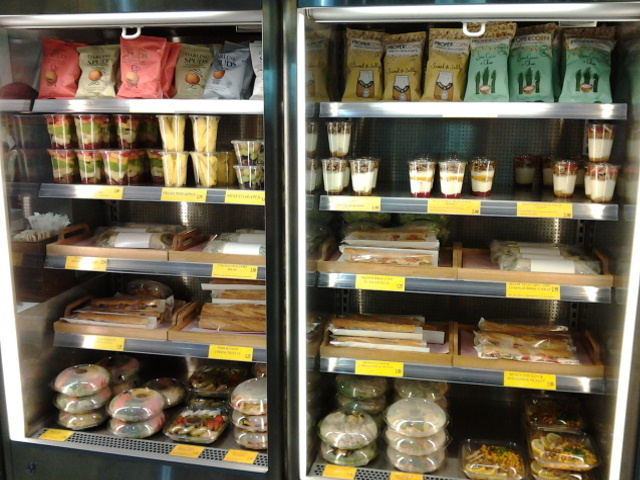 The outlet serving salads and soup always has a long queue. To save time, decided to pickup a premade salad from the sandwich outlet. At £4.25, the Cajun Chicken Rice Salad looks very tasty and substantial. I really enjoyed the Mixed Seafood Soup from Kruger last week so decided to try another one of their soups. Today’s choices includes Chicken Noodle, Tomato & Basil, Moroccan Harissa, Wild Mushroom, Green Thai Chicken and the seafood one which I have tried before. Only after I ordered the Green Thai Chicken then I realised that it has the same protein as my main. Duh! 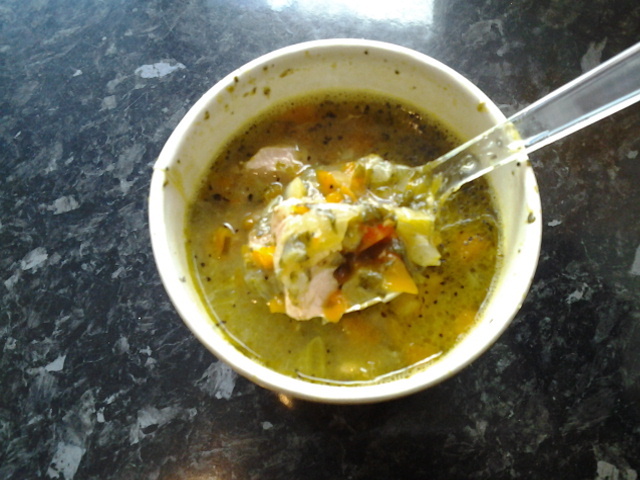 Large soup with a soft sesame roll for £3. First the soup which once again was very good. The smell when you open the container was simply divine. Had a comment from my colleagues saying how good it smells, in fact I got a similar comment from the seafood soup last week as well! Once again, the base of the soup is a combination of leeks, onions and carrots but since it’s a Green Thai Chicken soup, there was also coriander and possibly some green curry paste. The veg used were very generous and so was the chicken breast pieces. Doesn’t the rice salad look great! 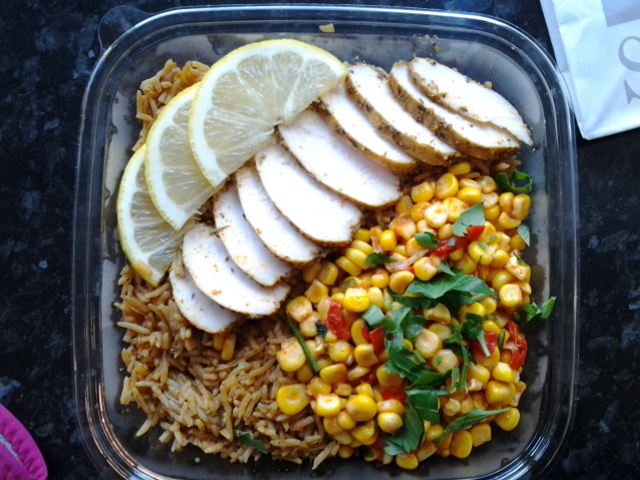 Neatly arranged slices of chicken, lemon, corn salsa on seasoned rice. I’m usually not a very visual person, much prefer to judge food on taste. But good looking good is always appreciated. Taste wise, it did not disappoint as well. The slices of chicken was seasoned with a Cajun style coating giving it a slightly charred and spicy taste. The rice also has a rather smoky taste which complimented the chicken nicely. The corn salsa could be spicier but nothing a few drops of Tabasco won’t fix. Hmm… I need to try the rest of the soup options from Kruger. Hope they all taste that good!